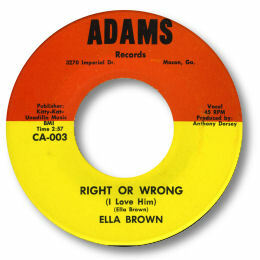 Ella Brown no doubt earned a lot more money from her years singing lead with southern rockers Wet Willie than she ever did from her solo releases. But with all due respect to the good ole boys in the band, from a musical standpoint there is simply no contest. Both Ella’s first two releases for Adams in Macon show great quality, as do her subsequent more easily available tracks on Lanor. The tracks cut for Charles Adams may well have been cut at one session if the matrix numbers – and somewhat eccentric label numeration – are any guide. These Macon recordings which were all written wholly or partly by Ella herself are southern soul of genuine class from the Golden Age. They seem to quite widely known but are really difficult to find but really well worth the effort (and cost). The uptempo “Hey Boy” and “Frankie And Johnnie” (not the blues song) are lively and infectious but the two ballads are where Ella’s vocals come into their own. I Love You Baby features a bluesy lead guitar and strong horn charts but the crème de la crème is Right Or Wrong. Not only are the chord progression and stop/start rhythm particularly well done, Ella’s multi tracked vocals give the song emphasis and bite. A magnificent effort. 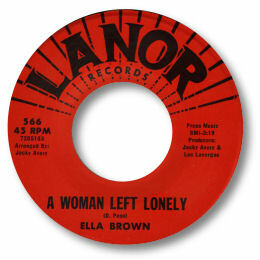 Ella’s other 45s were also recorded in Macon – at the Capricorn studios – but leased out by husband Jackie Avery to Lee Lavergne’s Church Point, Louisiana based Lanor Records. He met Lee when the latter was at Capricorn cutting local Georgia artist Huriah (Hugh) Boynton. The pick of these recordings is undoubtedly Dan Penn’s A Woman Left Lonely, also recorded with distinction by the great Irma Thomas. It is a beautifully constructed ballad with typically strong Penn lyrics and the song really comes alive in Ella’s rendition. 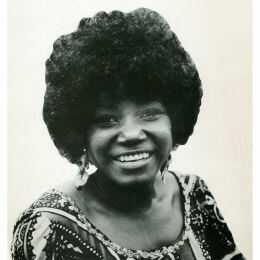 During her time at Capricorn Ella made a lot of uncredited appearances as a background singer - but one she did get a credit for was "Snake In The grass" a cut on the fine "The Devil And Other Blues Demons" album Eddie Kirkland recorded there. Ella Joined the bluesrock outfit Wet Willie for a very successful period in the 70s. The latest sad news about both her and Avery is that they are seriously ill – let’s hope they make a swift return to full health. UPDATE ~ Sadly Ella's health deteriorated badly and Tom Lewis has sent the news that she passed away on Friday 11 June 2010. My condolences to all her family especially her husband Jackie Avery. Note ~ The Krazy Kat LP "Louisiana Southern Soul" has slightly different takes of "A Woman Left Lonely" and Touch Me" on it. Thanks to my friend Michel for extra info.